Easter Decorations. 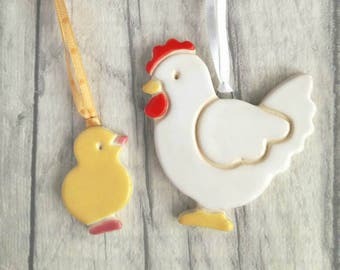 Pottery Easter chicks. 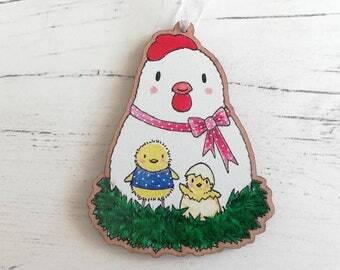 Sent on a Happy Easter display card, and can be easily removed for hanging. 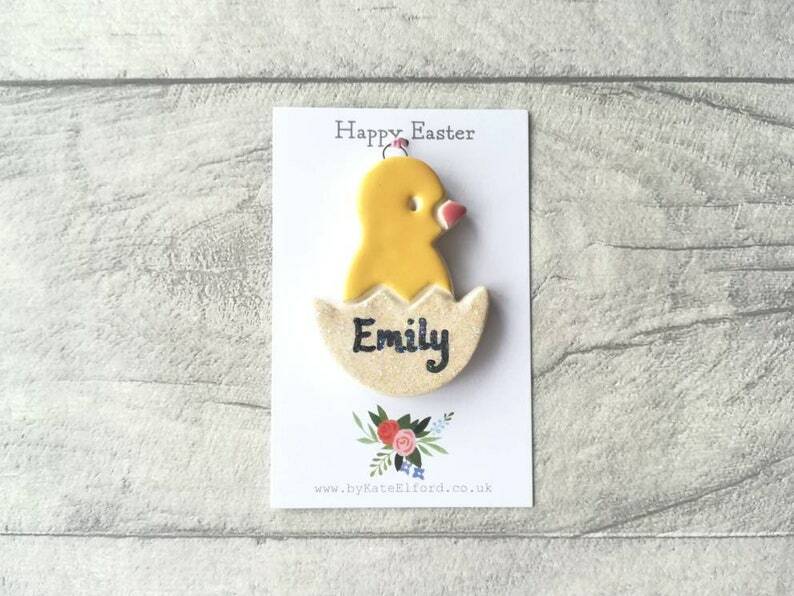 Any name can be added to make these personalised little chicks a perfect Easter gift or decoration. They measures approximately 5 cm from top of the head to the bottom of the shell. 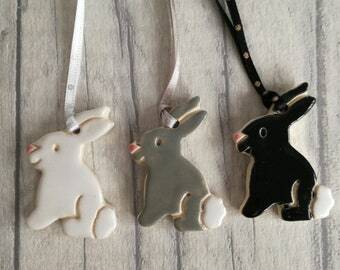 They are hand crafted ceramic Easter decorations. 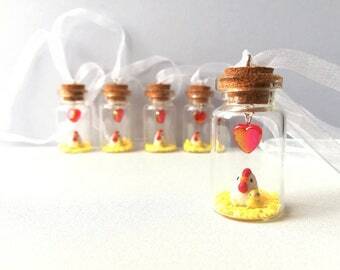 If you would prefer a chick with no name, I can either finish it with glitter or it can be left a plain shell instead. 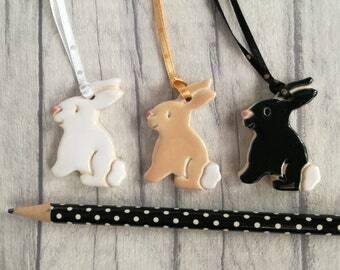 Pottery rabbit decorations, Easter decorations, Easter tree ornaments, Easter bunny and carrots, lucky bunny! Excellent customer service. 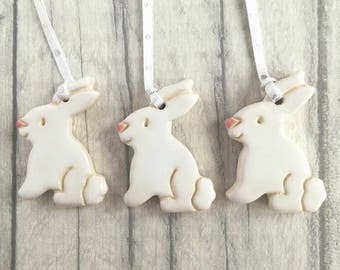 I bought four of these decorations for my family Easter celebration. Kate not only wrote our names on each one (following my request as part of my order) but she also sent them individually wrapped and lovingly protected so that they arrived in perfect condition and even earlier than the shipping estimate. I’m so grateful. 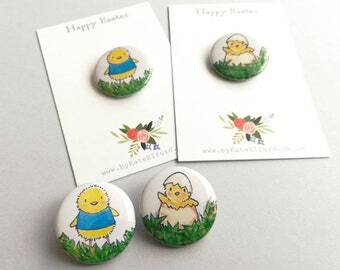 I highly recommend Kate Elford and all her gorgeous creations here on Etsy!